R.S. 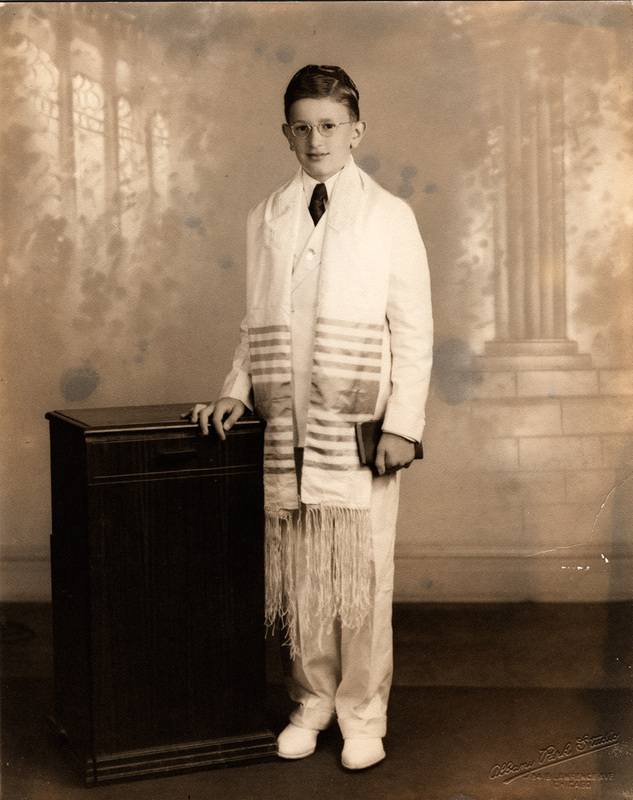 Mendelsohn as a young man, wearing a white suit with tie, yarmulke, and tallit. He is holding a book in his left hand, while resting the other hand on a [podium]. A photographic backdrop with a wall and column, windows, and foliage painted on it is visible behind him.